Attending the ceremony, there were representatives of Shinnyo Scholarship Fund, Assoc.Prof.Dr. 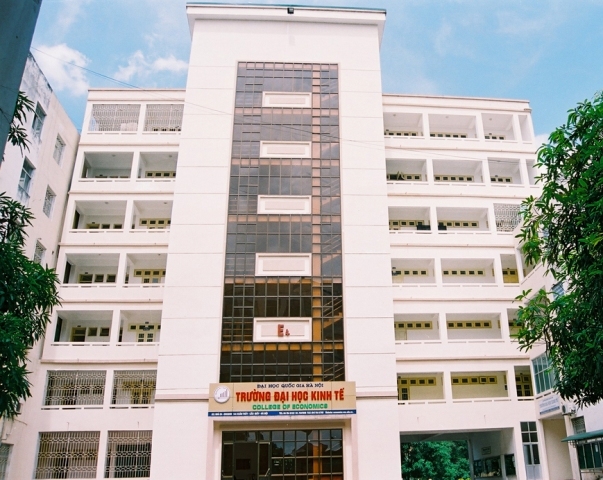 Nguyen Hong Son - Vice President of VNU, Assoc.Prof.Dr. Nguyen Manh Tuan- Vice President of the UEB and 210 students receiving the scholarships. This is the 15th year the Shinnyo Scholarship was deployed at VNU. In 15 years, the scholarship fund has awarded more than 2,838 scholarships for VNU students. The scholarship supports for students with outstanding academic achivement, having great contribution to youth/union activities or students from difficult families. Each of the scholarship values USD 300/year for university students and USD 200/year for high school students. 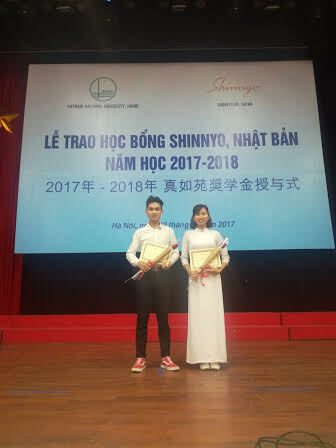 Speaking at the ceremony, Deputy Director Nguyen Hong Son appreciated the meaningful activities of Shinnyo-En Foundation that have been implemented at VNU. He said: "The Shinnyoen scholarship program has provided support to students of VNU in studying and scientific research. which represents a significant development in the relationship between the Shinnyo Organization. In particular, starting with the 2012-2013 school year, the Shinyo-en Foundation grants funding of $ 15,000 per year for VNU, Excellent students of the Institute will open a very meaningful opportunity for students of international communication between Vietnam and Japan. Students of the Faculity of of Political Economics had a field trip in Long Bien District.